The rainy season is officially here, and we all know that means having to adjust your daily wardrobe, yes, especially your shoes. Mud, puddles, slippery terrain, and soaked feet are just some of the hassles you need to deal with. To avoid any mishaps or trouble, wearing the right type of footwear is necessary to get you smoothly from point A to point B. Now, if you’re thinking that bulky rain boots are your only choice, think again. There is actually a plethora of options to choose from! Whether you’re looking for quick dry, washable, or water resistant features, our list right here will help you choose the best rain-appropriate footwear for you. You’ll appreciate sturdy sandals even more once summer ends. Choose the durable type that lets your feet dry fast while keeping them in place on wet ground. 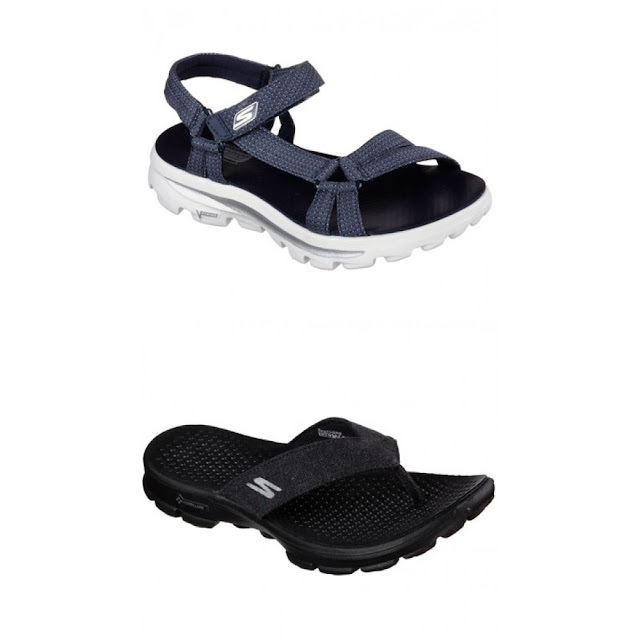 Try: Skechers GOwalk 3 Sandals. Both the strappy and flip-flop designs for men and women feature Skechers’ Goga Mat Technology that cushions feet for all-day comfort. The mid and outsole sports Goga pillars for a responsive and stable walking experience. When your shoes get wet, and inevitably they will, you want them to dry immediately, so best look for ones made with breathable materials. Try: Paul Sperry Flex Deck CVO Sneaker. This Sperry sneaker is designed with a lightweight and breathable quick-dry mesh upper for incredible comfort. Its Molded Hydro Grip™ rubber outsole with Adaptive Wave-Siping™ disperses water underfoot to reduce slippage on wet or dry surfaces. Try: Merrell Capra Rapid. The quick-drying Capra Rapid is the brand’s latest highly ventilated hydro-hiker with drainage channels for water evacuation. It also features M SelectTM Wet Grip and Capra hoof-inspired siped sole made for wet, slick, and unpredictable terrain. 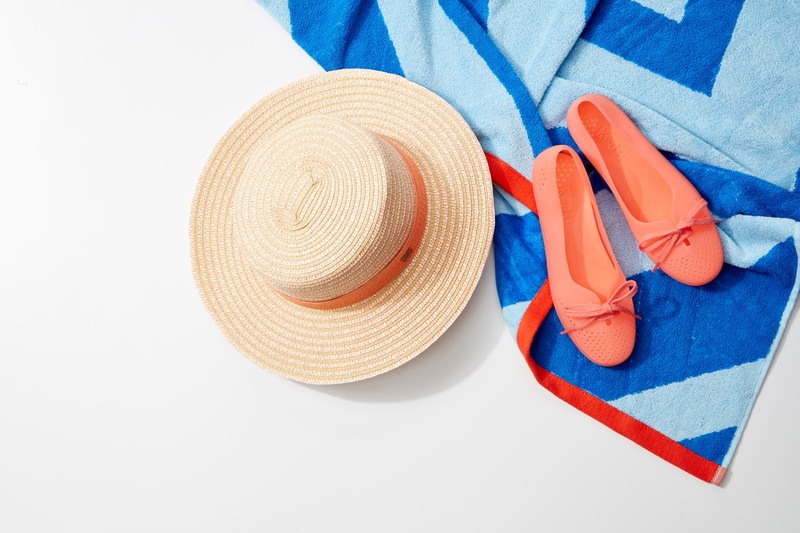 There’s are plenty of plastic flats available in the market for ladies in bright pops of color. This type of shoes will keep your feet dry in light rain and add a burst of sunshine to your outfit. Try: Keds Teacup. These ultra-flexible shoes come with a removable footbed for the ultimate comfort and practicality, and a pretty jelly upper that lets you wipe off water easily. These shoes are available in translucent hues of pool blue, lilac, lime punch, and mandarin. There’s nothing worse than soaking your favorite shoes in rain puddles, but wearing a washable pair is a different story. Look for shoes that are made to be washed multiple times so there’s no need to feel bad when you get them dirty. Try: Keds Chillax. 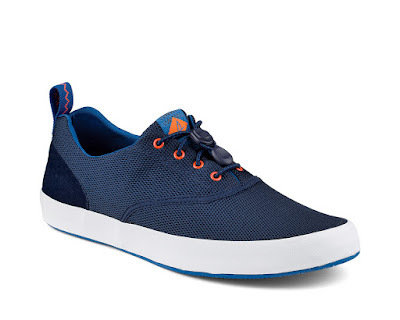 This washable shoe features relaxed washed twill upper, a comfy removable insole, a laceless snug fit and a super flexible rubber outsole that makes it easy to walk with or to stash inside your bag. If you’re into going off-trail in the rainy season, be sure you’re wearing shoes that guarantee you won’t slip. If you’re treading the urban concrete jungle, these lace-ups are still great choices to keep you all-weather ready. Try: Saucony Excursion TR9 which has a trail-specific outsole that provides excellent protection and traction on rough or muddy terrain. 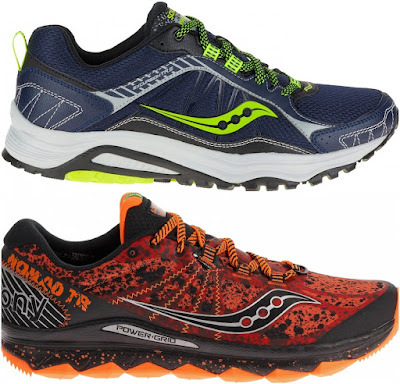 If you’re trekking on a rainy day, you can check out Saucony’s Nomad TR specifically made for different types of terrain with superior traction and durability. Like the idea of scaling a mountain rain or shine? Or just want to grab coffee across the street to get through the cold stormy day? You’ll have no worries if you’re sporting shoes made for both wet and dry environments and uneven terrain. 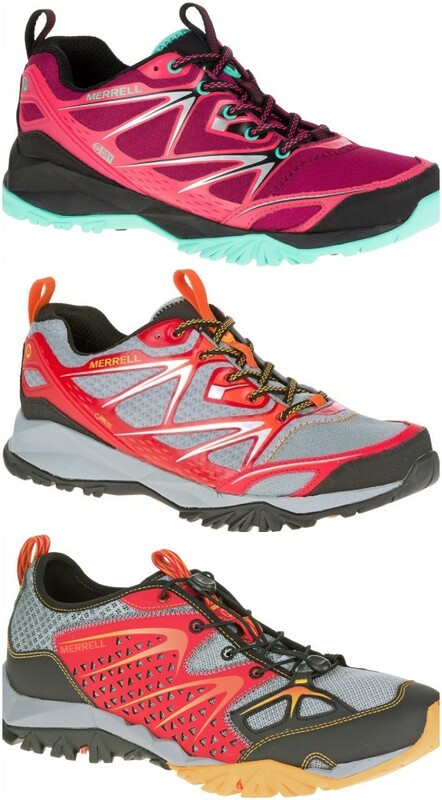 Merrell Capra Bolt (for women) and Capra Bolt Gore-Tex (for men) are designed for adrenaline-packed adventures. The shoe’s UniFlyTM midsole offers stability, agility, and more efficient stride on trails. It also has the M SelectTM GRIP’s Capra hoof-inspired sole for optimal footing on terrain. Waterproof variants are also available. Now, gather your jacket and umbrella, slip on one of these stylish and functional pairs, and enjoy the rain while it lasts.